In a time of social and ecological crisis, what can we as individuals do to make the world a better place? This inspirational and thought-provoking book serves as an empowering antidote to the cynicism, frustration, paralysis, and overwhelm so many of us are feeling, replacing it with a grounding reminder of what's true: we are all connected, and our small, personal choices bear unsuspected transformational power. By fully embracing and practicing this principle of interconnectedness—called interbeing—we become more effective agents of change and have a stronger positive influence on the world. 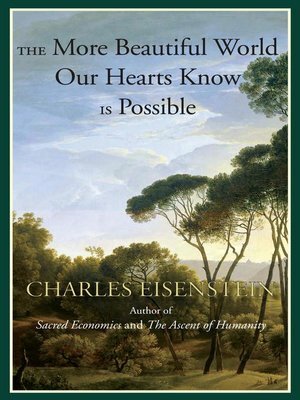 Throughout the book, Eisenstein relates real-life stories showing how small, individual acts of courage, kindness, and self-trust can change our culture's guiding narrative of separation, which, he shows, has generated the present planetary crisis. He brings to conscious awareness a deep wisdom we all innately know: until we get our selves in order, any action we take—no matter how good our intentions—will ultimately be wrongheaded and wronghearted. Above all, Eisenstein invites us to embrace a radically different understanding of cause and effect, sounding a clarion call to surrender our old worldview of separation, so that we can finally create the more beautiful world our hearts know is possible.